Stone Gathering: The Home Stretch! It’s crunch time here at Danielle Dufy Literary, with just over a week to get final edits in, followed by some back and forth with the design and layout folks, and then, boom! we’re off to the printer. I couldn’t be more excited! The first Stone Gathering reader has shaped up beautifully; it has exceeded my expectations in its rich mix of poetry, short fiction, and short essays–and in the power, the reach, and the relevance of each individual contribution. I can’t wait for you to hold this book in your hands, to savor its offerings, to know what I mean by short-form literature that is exquisite, welcoming, collectible. The Stone Gathering reader could be a perfect breath of fresh air for book clubs, an excellent resource for classroom teachers, a rewarding study for writing groups, and more. If you like books you can fall back on; if you appreciate the way a line of poetry, a strong idea, a meaningful story can shore you up; if you like to hold beautiful, powerful words in your heart, or carry them in your pocket, or sometimes let them stir you to action, this book, this series, is for you. The links to our online store are now up and ready for service. 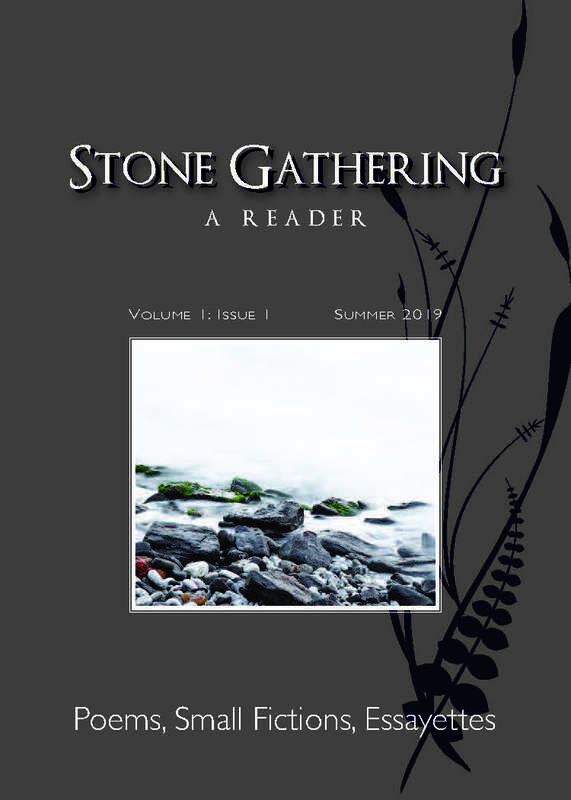 Individuals can subscribe to the Stone Gathering reader—for one year or two– at a special early bird rate through May 15th; and independent booksellers can pre-order for June 1st delivery and pay later. Go here for more information about Stone Gathering and about French Press Editions. And find the store here. If you prefer to subscribe the old-fashioned way, throw a check in the mail to: Danielle Dufy Literary, PO Box 334, Brainerd, MN 56401 (early bird rates through 5/15/19: $38/year, $72/2 years–after that: $42/year and $80/2 years). Make sure your mailing info is current and please include your email address. Thank you! These are heady days for me– perhaps a bit too busy and a little high-pressured, but they’re also fun, exhilarating, joyful, and rewarding. This work I’ve chosen for my retirement is everything I’d hoped it would be and more. Thank you for your encouragement and for your support!